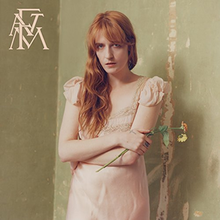 After three years of no new music from Florence and the Machine, fans’ hopes were high when Florence Welch announced the new album “High As Hope,” to be released in June 2018. Unsurprisingly, the album left a positive impression on her fans and critics. The rawness of Welch’s lyrics is emphasized by their instrumental backings. Less grandiose than some of her previous albums, tracks on “High As Hope” were built up from Welch’s voice alone, then simply adding gospel choir sounds and simple instrumentals. “The space around Welch’s mighty voice gives every nuance room to be heard,” critic Will Hermes said in his review for Rollingstone. “High As Hope” hasn’t just been healing for Welch, but for many fans as well, like senior Katie Krafft. “‘High As Hope’ came into my life at the time where I needed that specific kind of healing. I needed that love. Florence Welch makes you feel her music,” Krafft said. Through working on loving herself, Welch effectively helps fans feel loved and even work to love themselves.